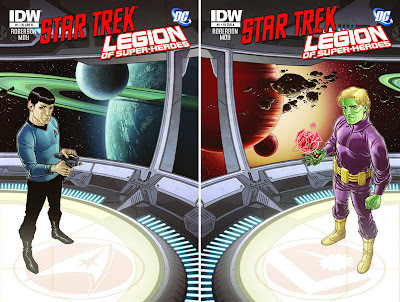 COVER OF THE MONTH: PHIL JIMENEZ - STAR TREK / LEGION OF SUPER-HEROES #1 You were expecting..? 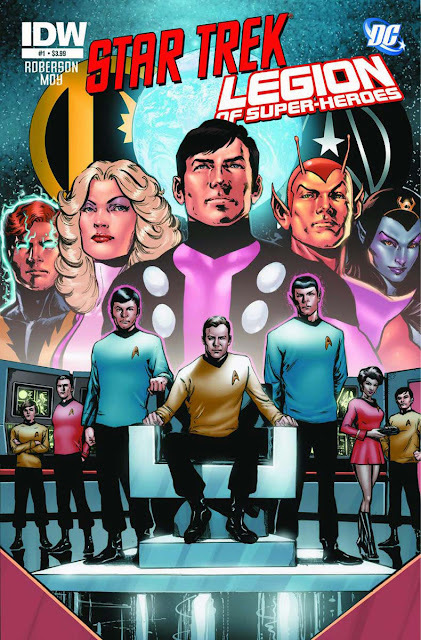 It's amazing how just by making Saturn Girl look part Farrah Fawcett you instantly show what era Legion this is. 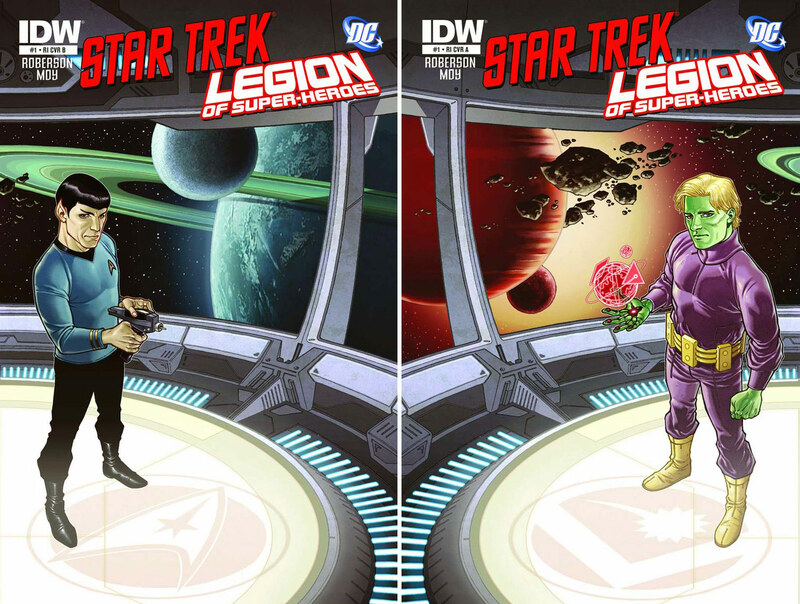 Still, so you get some fresh visuals for your eyes to feast on - here are the issue's two inter-locking variants! 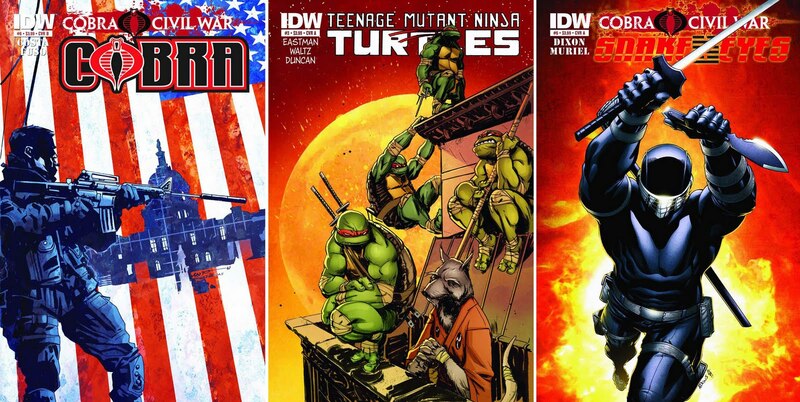 CLOSE CONTENDERS: Fuso - Cobra #6, Kevin Eastman and Dan Duncan - Teenage Mutant Ninja Turtles #3, and finally Robert Atkins - Snake Eyes #6. More IDW October heavy-hitters after the jump! Hey BvR - good to see you back! You're completely bang on too - I think this is one of those cross overs that is so unmissable they should do it as a mailbox drop out of a public service to pop culture! Will definitely be ordering mine.